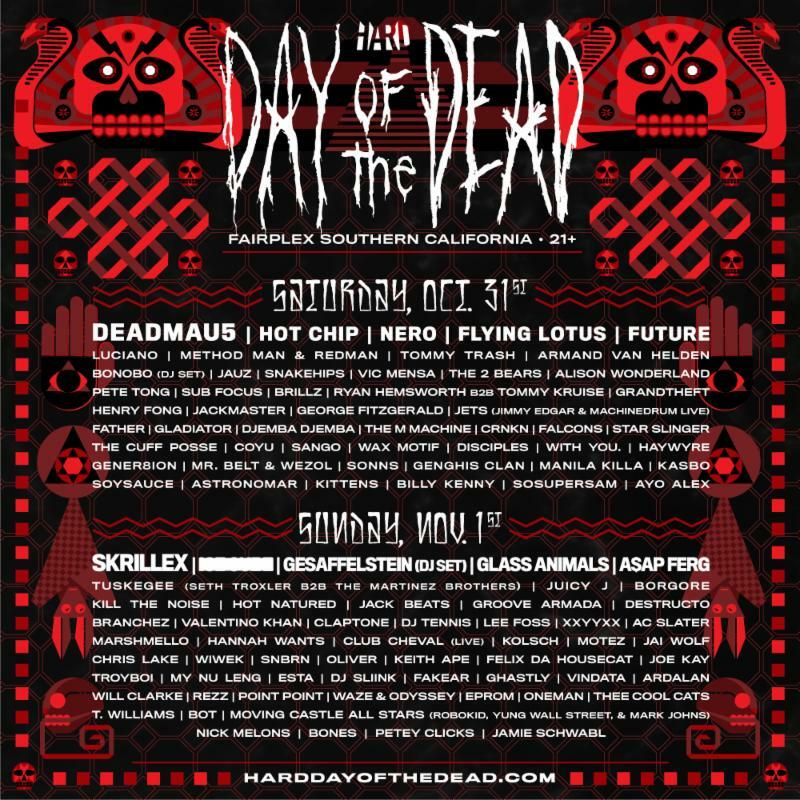 Taking over Southern California’s Fairplex Halloween weekend, HARD‘s ‘Day of the Dead‘ festival announces this year’s headliners. 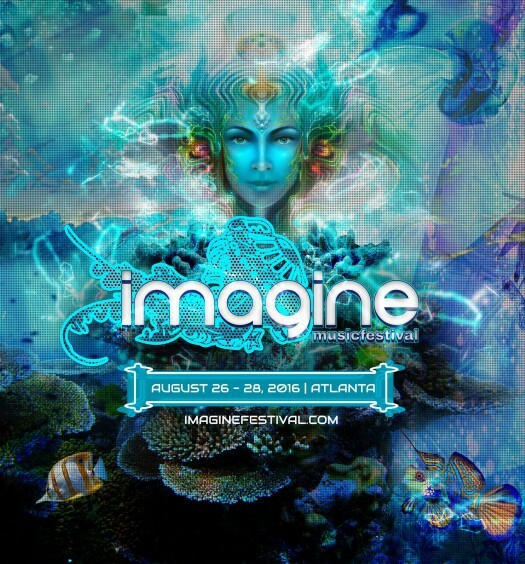 The two-day, 21+ festival features its most diverse and star-studded lineup yet, with acts like deadmau5, Hot Chip, Nero, Future, Skrillex, Glass Animals, and A$ap Ferg. 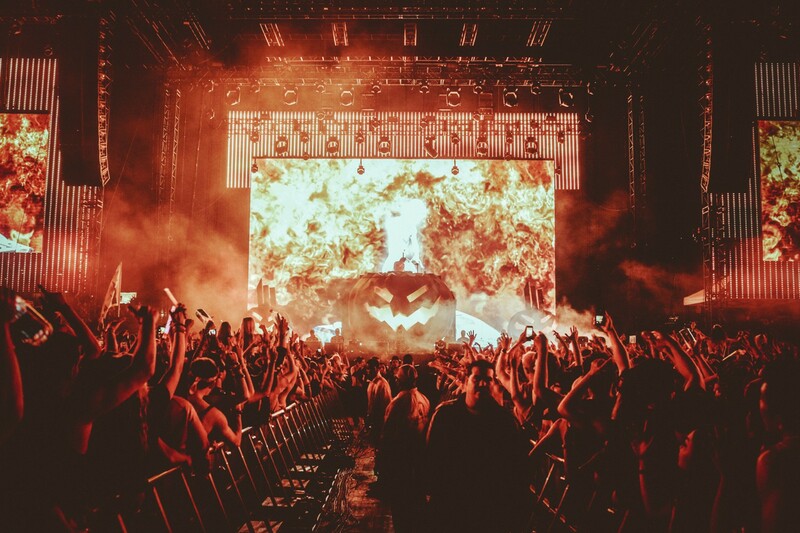 Day of the Dead’s lineup will peek the interest of EDM, alternative and hip-hop fans alike. Tickets are one sale now.